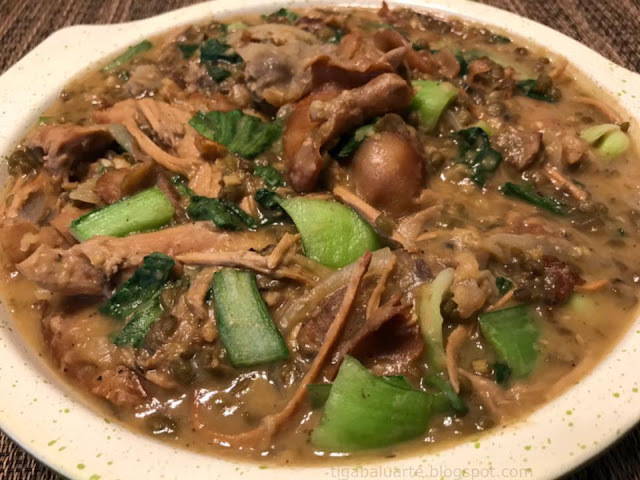 Ginisang Monggo cooked with left over Lechon is so good. Simple yet very satisfying and filling. It's like my 2 favorite Filipino food cooked in one. 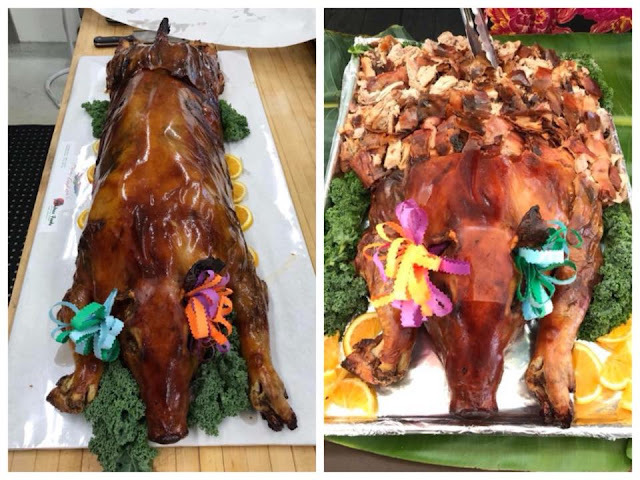 My mom had a Luau party last week and an American-Filipino Luau party is not complete without a whole Lechon or Roasted Whole Pork. Boil mung beans in enough water until almost done and set aside. Saute garlic and onion in cooking oil until caramelized. Add left over Lechon, stir and cook for few minutes. 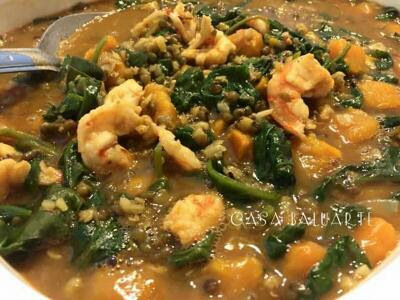 Season with fish sauce and add boiled mung beans. Stir and simmer in medium low heat until mung beans are fully cooked. Stir every few minutes to avoid the beans from sticking to the bottom of the pot. Season with ground pepper and more salt if needed. Add more water if needed. Add pechay, stir and simmer for few more minutes until pechay is fully cooked. 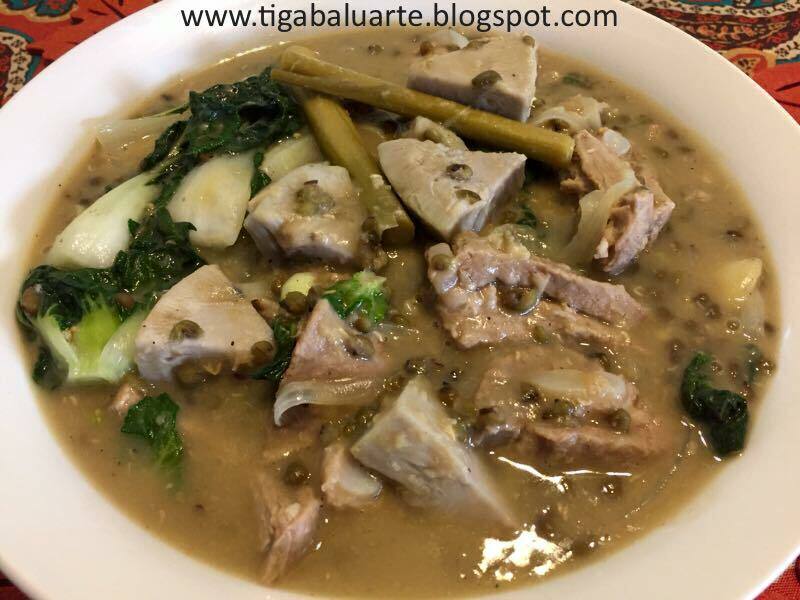 *you can add more vegetables like eggplant, kalabasa, etc. if desired. 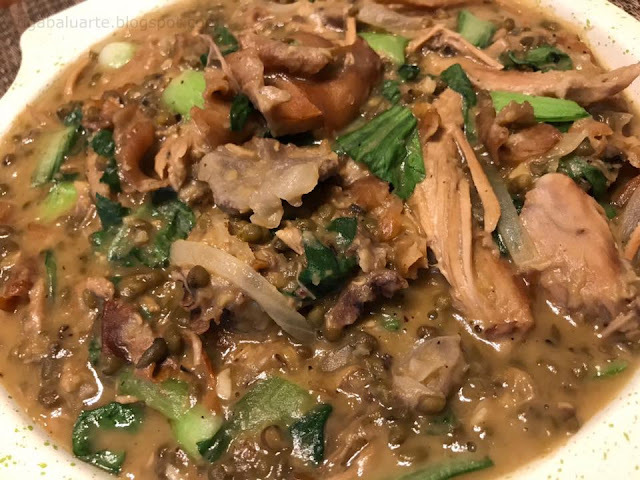 Remove pot from heat and serve hot. Enjoy! 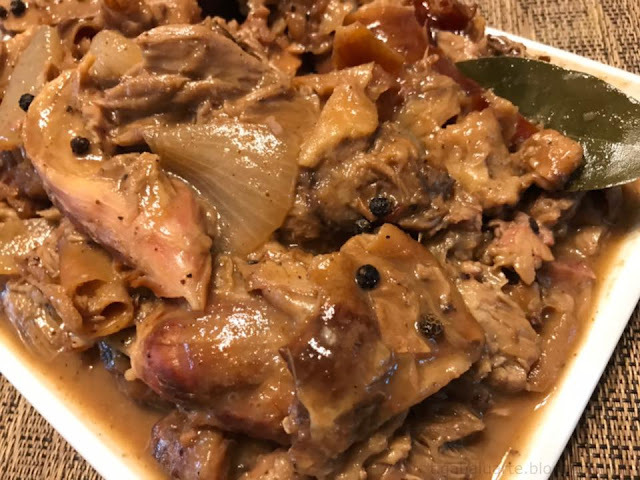 *For those interested and from around the Vallejo area you can order whole Lechon from Andrea Food located at: 1109 Maple Avenue, Vallejo, CA 94591. Tel # 707 644-0518. Disclaimer: tigabaluarte.blogspot.com or Casa Baluarte is not a paid advertiser. Casa is just sharing places visited. 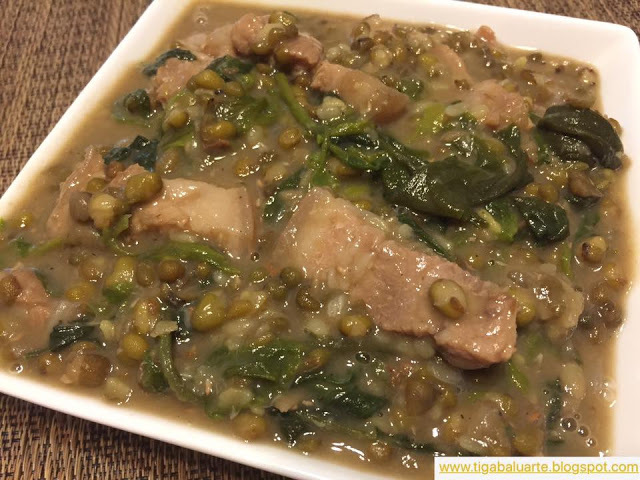 RELATED (click name link to see complete recipe) or SEARCH Casa Baluarte for more related post.